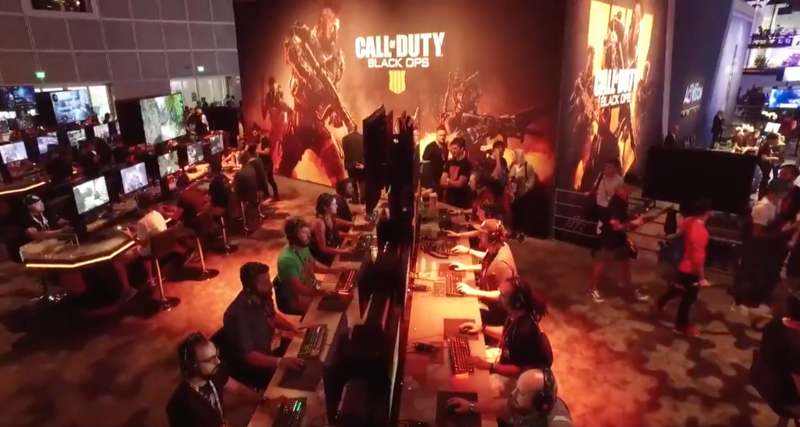 For the last week, all the big game companies have been showing off what they’ll have for the next year at the Electronic Entertainment Expo, or E3, in Los Angeles. Microsoft had their E3 briefing on Sunday, and it was huge. They premiered 15 new games, many of them Xbox and Windows exclusives. Among the highlights are a new Forza Horizon game, where you can drive recklessly across Great Britain, with the season (and the challenges) changing every week. Microsoft also teased a new entry in the Halo series, Halo Infinite. Really, there wasn’t much to show with this, except the gorgeous new graphics. Sony’s show had a trailer for the upcoming game “Death Stranding,” a collaboration between Metal Gear Solid’s Hideo Kojima and filmmaker Guillermo del Toro. The game stars movie-and-TV actors Mads Mikkelsen and Norman Reedus, and...well, I have no idea what this game is going to be. The trailer has 8 minutes of gameplay and cutscenes, and all I know is that it looks weird-- Really good, but weird. We also got several new trailers for Kingdom Hearts III, the next in a series of action role-playing games owned by Disney, and one I’ve been anticipating since the second game came out in 2005. This one features several new Disney worlds, including Frozen, Monsters Inc, and Toy Story. Nintendo had a great presentation, too. They announced a new Mario Party game for the Switch, which lets four players party across two Switch systems. You’ll also now be able to play the popular battle royale shooter, Fortnite, on Switch, for free. Finally, they announced Super Smash Bros Ultimate, the next game in the legendary brawler series from Nintendo. It will include more than 60 fighters, including any fighter that was ever in a previous Smash Bros game. Looks like I’ll have plenty to do for the next year or so.